Monsters do not only reside under the childhood bed or closet, nor is their habitat constrained to horror films and nightmares. Monsters, creatures that elicit a shiver from even the most apathetic intellectual, walk among us, live inside us, because we are the monsters. 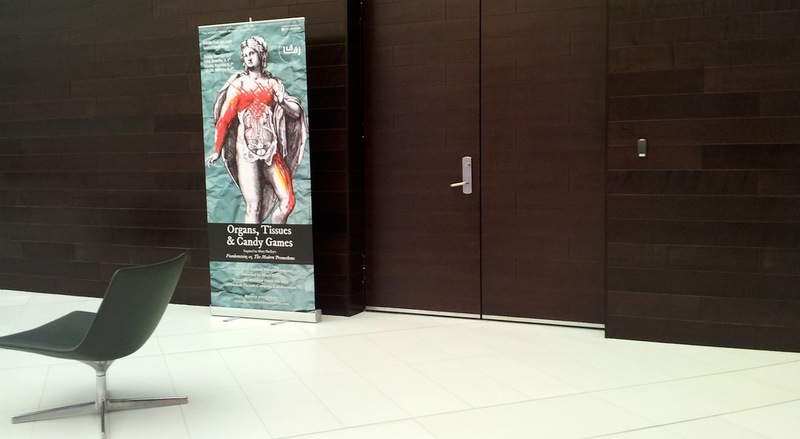 The auditions for Organs, Tissues, and Candy Games, NYU Abu Dhabi’s fall semester student production. that students at NYUAD do indeed believe that all of us are the monsters creeping around corners. Lebanon’s Zoukak Theater Company and Cultural Association, which is collaborating with the students on this adaptation of Mary Shelley’s novel Frankenstein, split the actors into around seven groups. The first assignment was to create a one-minute improvisational piece including one death and one song. There were no other restrictions. The groups created vastly distinct scenes. One group chose to act out a scene from a post-apocalyptic world in which a family was heading to the last transport off the dead and ravaged world. The ferryman was shouting only two more could fit on the barge, but they were a family of three. After many histrionics the young adults decided it best to leave their grandfather in the lifeless old world to die. These actors put a focus on body politics, whether one human has more value than another because of age or condition. Another group brought senseless violence to the forefront by depicting a bar scene where a group of inebriated youths beat up a random passerby for sport, reminiscent of the game “knockout” that gained infamy in New York City this past year. In knockout youths in New York would target random pedestrians, anyone from a woman pushing a carriage to an elder, and try to knock them out with one punch. This scene was the least subtle in its depiction of our society as monstrous, a society where senseless violence thrives. Every group had its own political microcosm, and questions it wanted to raise. These questions are the different limbs that will be sewn together to create this interpretation of Frankenstein. The fully fleshed-out version will be on display from November 13 through 15 at NYU Abu Dhabi’s Arts Center on Saadiyat Island.